How Do You Stand In A Perfect Storm? I am going through the most horrific, painful, and toughest times in my entire life. It’s what I call a Perfect Storm. A Perfect Storm to me is when it seems that your life may be falling apart. It is when you suffer from an illness or an injury that nearly takes your life. When your finances may become a wreck from injury, illness, or loss of a job from something entirely out of your control. When you feels as if some friends turn their back on you, even ones you have known most of your life. Those whom you thought would be by your side until God may call you home to those you have known and grown very close to for just maybe a year. It is when you feel and see your own family not come to your side, even when you call and nearly plead. When near supernatural things happen within ministries you adore, have led, or a church you have served for years to the negative, that is near obvious wickedness, that can only be the deeds of the evil one. It is when some one, even a loved one you loved to your core nearly since the day of their birth ostracizes you due to being told untruths to down right lies from others they love, over and over again that they believe it. It is when your health is failing and nearly gone, your wallet is empty, you are in the midst of spiritual attacks, your close relationships seem to be failing, and you have been either out of work for months and cannot find a source of income, or you lose your job entirely. You have seemed to have lost everything or at the minimum losing everything; Job, family, friends, health, home, even the access to health care. So it is attacks and collapses on all sides of your life like you are surrounded by immensely large titles waves the size of sky scrapers on every side and you are at the center with rain pouring down and hurricane level winds have been blowing for months. You feel as though you may be crushed to death and your are so exhausted in taking care of yourself, nearly all by yourself, that you feel as though you may not be able to move forward another week, let alone another day without being homeless on the streets. 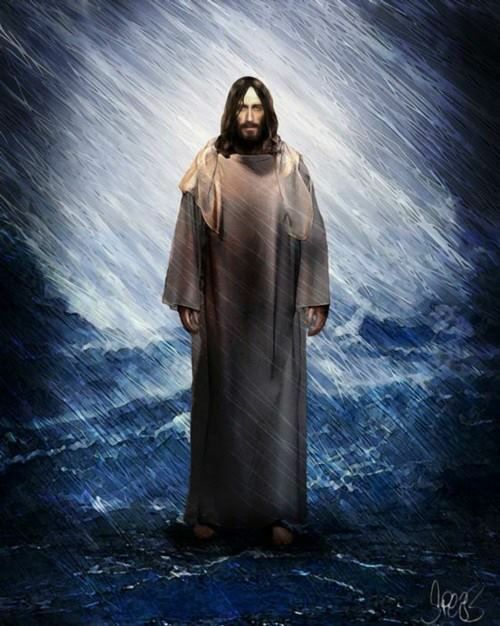 The Perfect Storm that no human may survive without supernatural intervention. That intervention is of course God. I have incurred a very bad motorcycle accident to where I incurred 15 broken bones and in the hospital for a month. On oxygen for a week. I have been confined to a wheel chair for three months and I am just now getting used to crutches. I almost died three times in thirty days. So many days of physical therapy, and even in home nursing, physical and occupational therapy. Days and nights of more pain that I have ever incurred in my life. The pain of your body been crushed to its core to were you cannot think and nearly cannot breath. So many broken ribs and back bones it hurts just to breath, let along talk, or laugh. It has been a living hell. From pain medications to respiratory therapy. To staying up for days because the pain was so intense. I never averaged more than two hours a day while in the hospital. When I got home I really never averaged more than five and just now getting to six to seven hours of sleep. It’s now going on four months since the accident. On Sunday morning, December 4th, 2016 while I was getting ready for church, I had enough of the pain, and inability to walk. I asked God and Jesus Christ Himself to please at least let me feel like a man again. Just let me feel like a man and be able to stand in the shower. I started praying in Jesus name over and over again and I stepped out in faith and stood from my wheel chair, stepped in the shower and took my first shower standing. I kept praying out loud in Jesus name the whole time. And I kid you not, I walked out of that shower, and put my clothes on standing. I got dressed, walked right out my front door and grabbed my crutches and drove my own car to church. (Trust me I already had a release to drive over a week ago) I walked to my normal seat where I used to park my wheel chair and I stood in Jesus name, praising in worship, absorbing His presence. After services I walked over to get myself my first cup of coffee in near 4 months standing and I walk into Anthony Munoz of the Cincinnati Bengals. We chat for a while and I tell him briefly of my story and he laughs with gladness, and says to me, “Brother you are a walking and talking miracle” and pats me on my back. I replied to Anthony, “More than you know, brother. More than you know.” Of course I got a photo of the moment. We chatted a little more about the church and Boomer Esiason as I was wearing my limited edition #7 Boomer Esiason Cincinnati Bengals Jersey when the accident occurred. You see they had to cut off all of my clothes due to my injuries and crushed ribs and lungs. So that Jersey is gone. I am an avid Cincinnati Bengals and Ohio State Buckeyes fan. After I walked to my awesome Sunday School class, I walk out and walk into one of my good friends that has been walking me through the storm. He is a dear friend from my Men’s bible study. A man that has been praying for me for months with the other men. A light in the dark clouds, a blessing more than words may express. He pulled me aside and wanted to pray with me among the other men serving coffee. We prayed in Jesus name and tears flowed from my eyes as he teared up too and we embraced each other as he and I know I am a walking and talking miracle in Jesus name. It is by and through Jesus I am walking in church and it was just last week this friend was speaking to me in my wheel chair. He has not seen me standing so long he forgot how tall I am. You see I stand 6′ 2″ tall and I used to weight 255 lbs. I know weigh 215. I have not shrunk, I have just lost weight as I have no appetite when I have been in so much pain and on medications. They eliminate appetite so I have to remember to eat, because my stomach and mind wont tell me I am hungry. I also have had to drink protein drinks, and health drinks so I get my nutrients, vitamins, and protein. Thanks to Amazon Prime, they deliver it all to me. I am a fan of Amazon Prime. Do you know they even deliver all sorts of groceries? And no they didn’t tell me to plug them, I tell you this because it is all true. I do almost all my shopping on Amazon Smile Prime and they give 5% of my purchases to CityLink. My preferred charity. 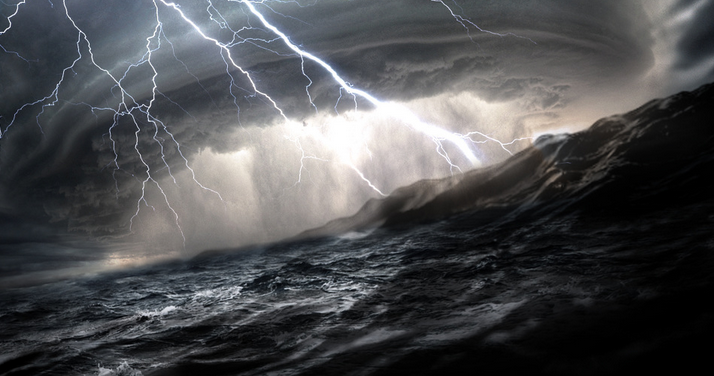 Do you want to know how to stand firm in a Perfect Storm? You walk it in faith, and if you cannot walk, you roll through it in faith from your wheel chair. You persevere in Jesus name. You seek Him every day, you pray every day, several times in the day if you can. Read the bible, listen to inspirational Christian music, watch inspirational movies, and most importantly pray. Focus on the positive and count your blessings day to day. Inventory your blessings and write them down. Thank God and Jesus Christ for each of them. He is there, and when you hurt he hurts. The shortest verse in the bible is “Jesus wept” What caused Jesus Christ to weep was the sadness and hurt He witnessed while in human form for loss his friends and family was incurring. He wept for the sorrows of humanity. He wept for you too. There is power in the name of Jesus just as the old famous hymnal song says. There was miraculous healing power in Jesus name for me. I am not certain I am qualified to be a “warrior” or “gladiator” for Christ. However I know my faith has been tested, and I am honored to be thought to be molded into a “gladiator” for the cause of Christ and that somehow and in someway my pain, and suffering may be used for the good, especially to help others. I share this with my readers as I know for certain that miracles happen every day and they have to me personally on several occasions. I am walking, talking, and breathing because of Jesus. It is because of Him, that I am alive. Look we all have had storms, and possibly Perfect Storms. Several Perfect Storms in fact. Every one I have ever met has a story and incurred a storm of sorts. I will tell you that I am doing my best to get through it. However I cannot do it alone, I was failing. It is only by my faith in God, the help of close friends, a love in action church, and in Jesus name; I am making it. I tell you that is the truth. And HE, is the truth, and gets all the glory. Friends, we have a Good Good Father as Chris Tomlin sings. I am certain of it. I have lived it! If I told you my entire life story and my testimony, you will not be able to tell me God doesn’t exist. No one will ever be able to convince me that God is dead, or doesn’t even exist. He is alive, very much so, and if you let Him, He may live in your heart forever and walk with you through ALL of your storms. All you have to do is ask. Just simply ask. Go ahead, He is there, He is listening. He is our Father and He is good! This entry was posted in Faith, Family, Uncategorized and tagged faith, God, grief, injury, Jesus, loss, miracle, miracles, perfect storm, Standing Firm In Faith, the perfect storm, walking, walking in faith. Bookmark the permalink. 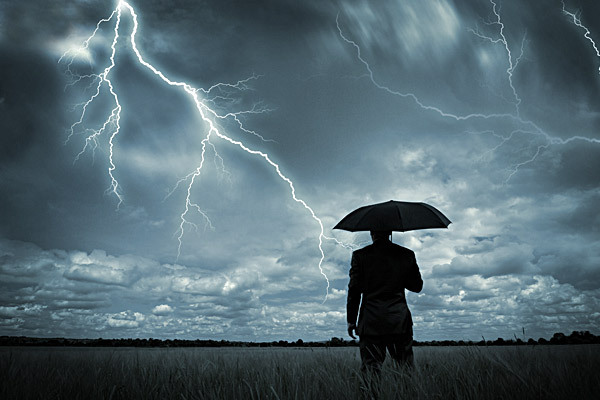 1 Response to How Do You Stand In A Perfect Storm? Thanks for sharing. Our Hid is amazing. Your blessed to be alive So God has some serious work in store for you. I’m sorry you endured so much pain but thankful that though the storm you found even more strength in the Lord. Many blessing to you in the new year.